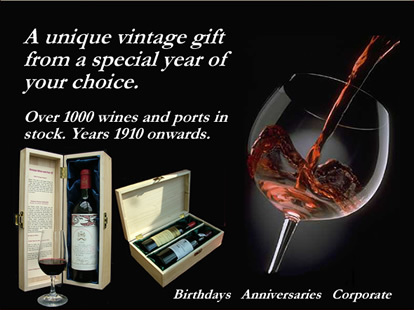 The 1944 Port vintage was not declared; no Vintage Port or Single Quinta port was produced in this year. However, some excellent Colheita and Tawny Ports from 1944 were made and we are proud to offer one of the largest collections in the UK. Making the perfect 75 year old wine gifts for a birthday or anniversary, these Colheita ports are true rarities which have been barrel aged until a special bottling commissioned by Vintage Wine and Port. 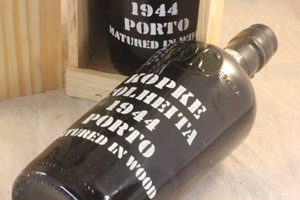 The 1944 Kopke Colheita Port has been selected by the producer as being of the highest quality, and we would recommend it as a truly excellent gift. These colheita ports from the 1944 harvest have already undergone oxidative ageing and as with all tawny port can therefore be savoured over two months after opening. The 1944 Italian Vintage was overshadowed by the war, however a limited number of bottles were still made. The best examples come from Barolo and the area of Piemonte and these are fine wines that will still be drinking well today. The 1944 vintage produced a good standard of Bordeaux wines. France was exceedingly fortunate in the matter of weather during the war. Never, certainly, in the last half century have the French vineyard districts known a comparable succession of dry summers or a higher average of good or creditable vintage years.